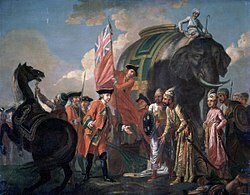 In Bengal effective political and military power was transferred from the old regime to the British East India Company around 1757–65.Company rule in India began under the Bengal Presidency. Calcutta was named the capital of British India in 1772. 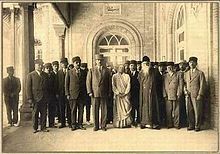 The presidency was run by a military-civil administration, including the Bengal Army, and had the world's sixth earliest railway network. Great Bengal famines struck several times during colonial rule (notably the Great Bengal famine of 1770 and Bengal famine of 1943). 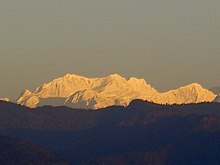 The Indian Rebellion of 1857 was initiated on the outskirts of Calcutta, and spread to Dhaka, Chittagong, Jalpaiguri, Sylhet and Agartala, in solidarity with revolts in North India. The failure of the rebellion led to the abolishment of the Mughal Court and direct rule by the British Raj. 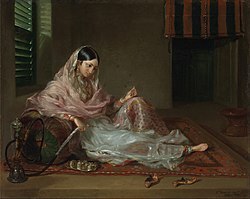 The late 19th and early 20th century Bengal Renaissance had a great impact on the cultural and economic life of Bengal. Between 1905 and 1912, an abortive attempt was made to divide the province of Bengal into two zones, that included the short-lived province of Eastern Bengal and Assam based in Dacca and Shillong. Under British rule, Bengal experienced deindustrialization.